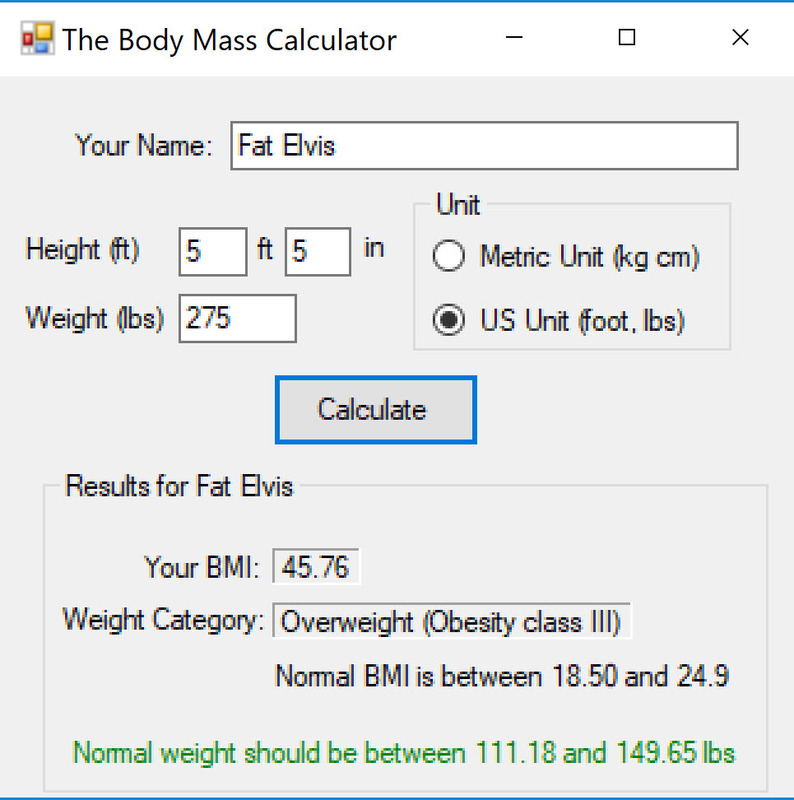 This is a very simple windows form application that I completed for a class assignment. It is shown here to illustrate my coding style, structure, and commenting. This example is considered Level 1 – Easy. • To create a Windows Forms application. • Use parameterized methods and methods with return value to establish communication between objects of classes. From this point on, we will be considering separation of concerns as discussed earlier. More precisely, we will try to separate the presentation of data from the logics that manipulate the data. We let the GUI- class (Form object), be responsible for presentation of all data, and let other classes to serve the GUI by processing input data and producing the needed output data. 2.1 The above formulas are standard for adults not taking the age into consideration. 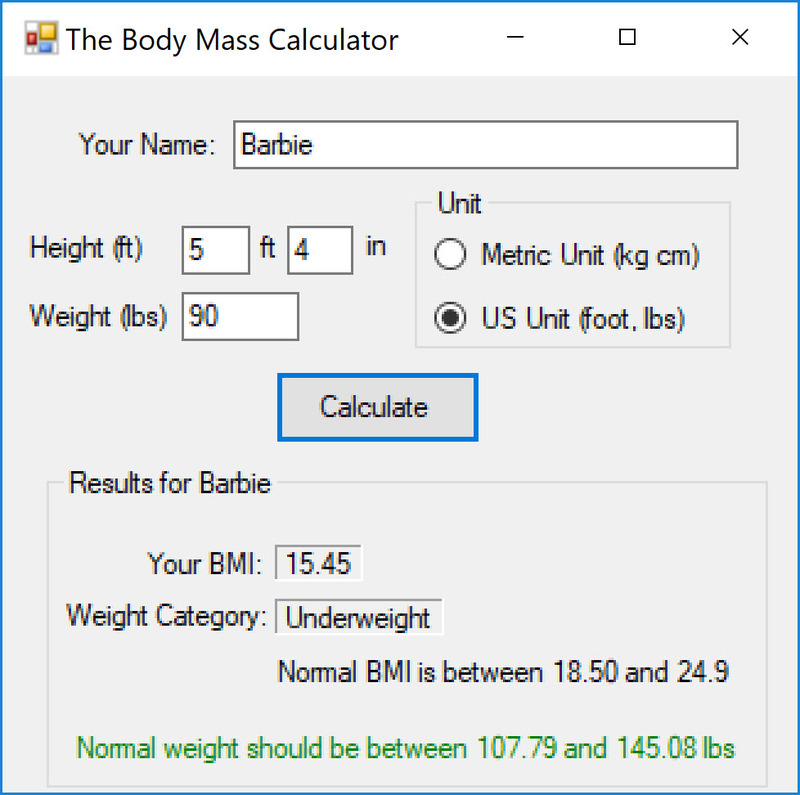 The World Health Organization’s (WHO) has recommended a body weight based on BMI values for adults, as summarized in the following table. It is used for both men and women, age 18 or older. 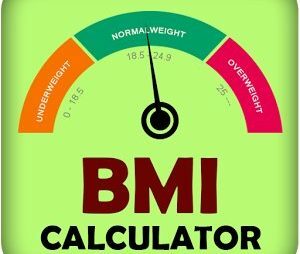 For more information see: http://apps.who.int/bmi/index.jsp?introPage=intro_3.html. 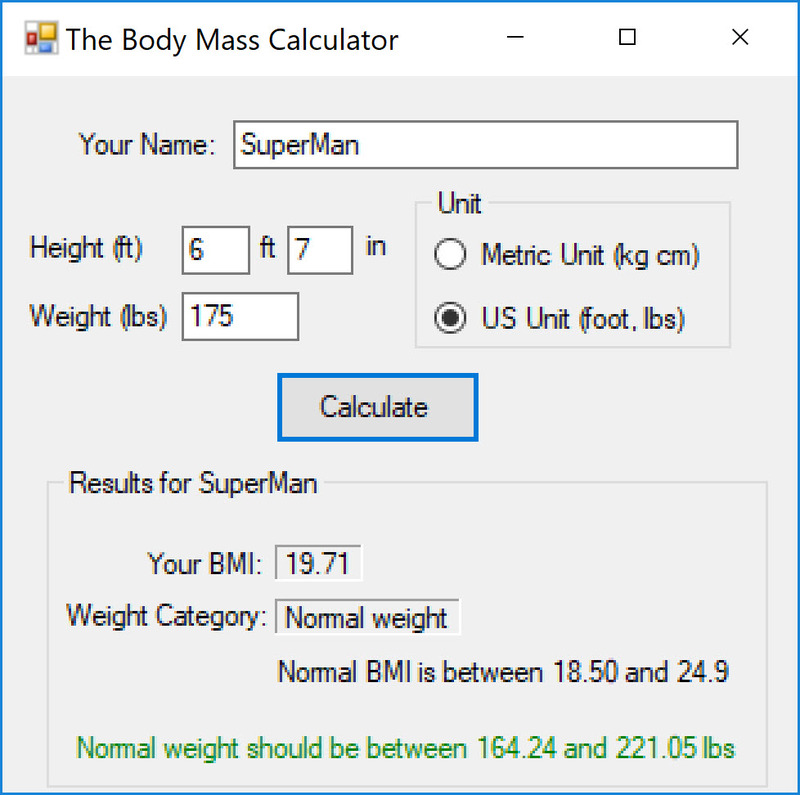 2.2 The user should have the choice of selecting a metric or American unit type. 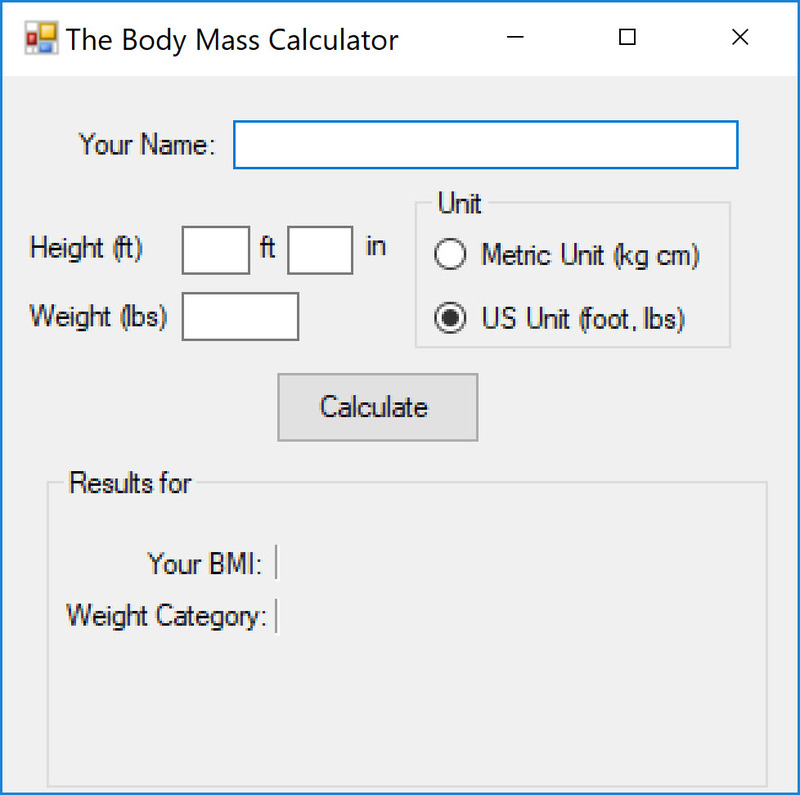 For the metric option, the user should provide the height and weight values in meters (m) or centimeters (cm) and kilograms (kg), respectively. 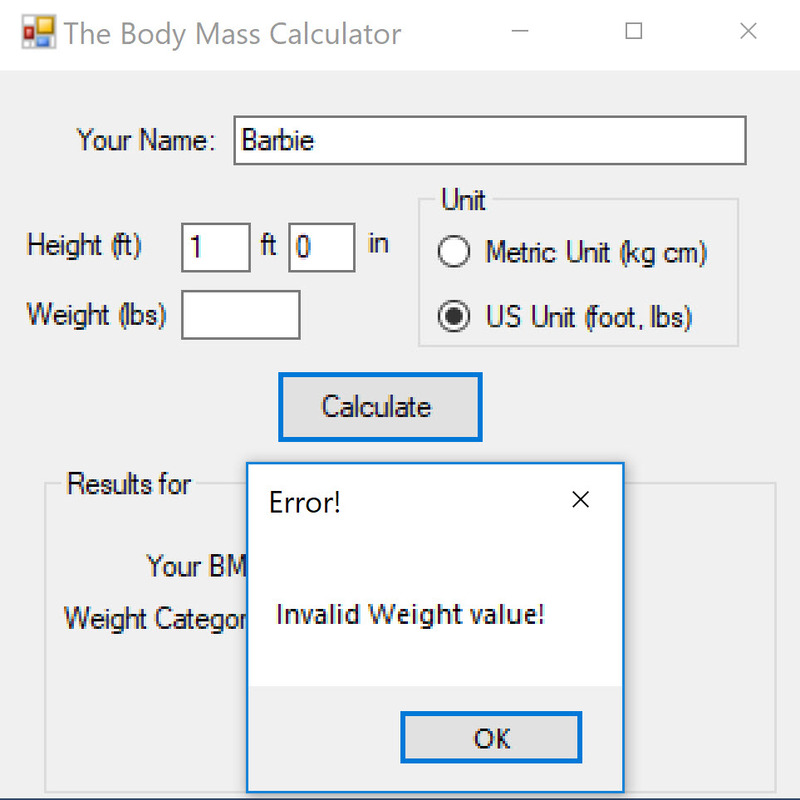 For the American unit the values can be given in feet (ft) or inches (in).